The Florida Gators defeat the Georgia Bulldogs 72-50 at home, setting a Florida record of 25-straight home wins. Florida Gators defeat the University of Georgia Bulldogs 72-50 in the Stephen C. O'Connell Center. 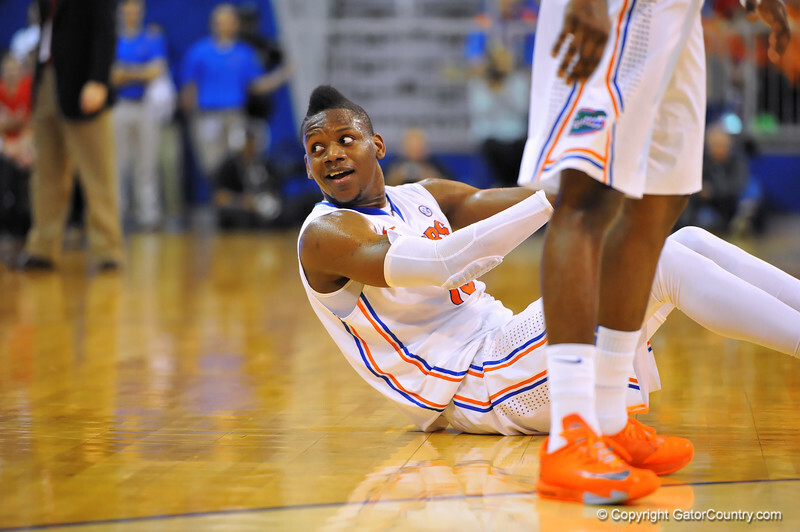 Florida forward Will Yeguete looks at the referee with a look of astonishment after what he thought was a bad call. Florida Gators vs Georgia Bulldogs. Gainesville, FL. January 14, 2013. Gator Country photo by David Bowie.